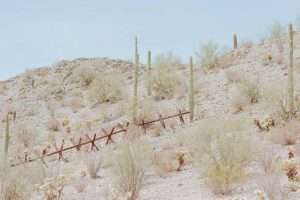 In 2017, writer Genevieve Allison and photographer Elliot Ross set out on a 10,000 mile journey, covering the 2,000 mile stretch of the U.S.-Mexico border to document the communities negotiating the sociopolitics of a region often discussed but little understood. 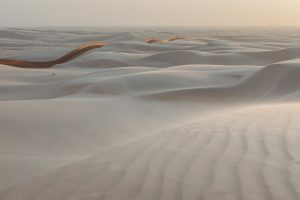 A trip slated to last four to six weeks turned into five months driving from border town to checkpoint, through deserts and dunes. 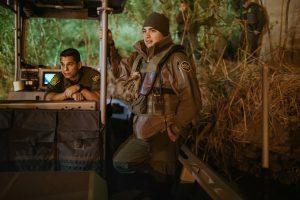 They spoke with ranchers, indiginous nations, conservationists, and Customs and Border Patrol (CBP) agents to piece together an understanding of the region informed by the individuals who work and live in the crux of an international crisis. The team launched a Kickstarter campaign in March with Gnomic Book to publish American Backyard, a limited series of photo books featuring portraits, topographic photographs, and essays from their journey. 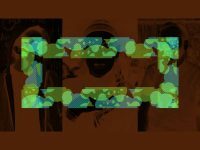 They aim to create a space for people at the epicenter of a national discourse driven by pundits, politicians, and vested interests to speak for themselves, to share their needs and their experiences at the frontlines of at a political flashpoint. 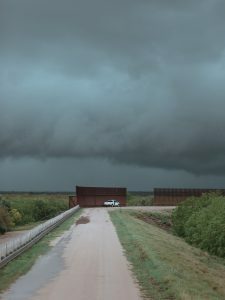 Allison and Ross chose to a few stories from American Backyard to highlight for Document, touching upon some of the most fascinating revelations the project unearthed—the loaded silences of border agents, unexpected alliances, heart wrenching inhumanity, and affirming compassion. Left: John Ladd, West of Naco, Arizona. Right: Anthony Sedgwick, Arizona. 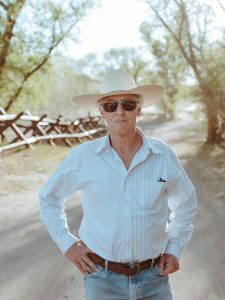 Elliot Ross—Of course there are hundreds of conversations which stand out in my mind, but one that kind of served as a revelation for us was one with two ranchers in Arizona: one being John Ladd and the other being Anthony Sedgwick. They’re both conservative folks. John has appeared on Fox News quite a bit talking about the border, and he’s kind of a loudmouth spokesperson. Even this guy, who’s a Trump supporter through and through, was anti-border wall. For a couple of reasons. One he kept saying over and over was, ‘We have laws, we just need to enforce them.’ Two, being a Republican with land along the border, he has a problem with the government coming in and using imminent domain to take his land, which they did. 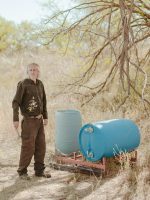 With Tony Sedgwick, he’s learned that 90 percent of his interests on this particular issue align with those of environmentalists and conservationists. They both have interests in protecting the land and the ecosystem. For him, healthier land produces healthier cows. 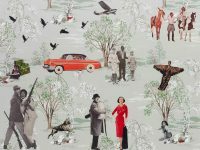 Obviously conservationists have different reasons, but a lot of their interests align. This border wall is an issue that brought people together along the border [from] a huge swath of demographics. Left: Ofelia Ribas, Tohono O’odham Nation, Arizona. Right: National Security Zen Garden, Barry M. Goldwater Air Force Range, Arizona. 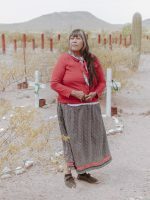 Genevieve Allison—One other figure who was really significant for both of us was Ofelia Ribas of the Tohono O’odham nation [the U.S.-Mexico border splits the nation’s traditional homeland]. Most of that community lives in the United States on the Tohono O’odham reservation, but there was always this quite free passage between the checkpoints and the gates until it was stepped up post 9/11 and then again in 2016. People had to carry identification, and a lot of people born on the reservation never had this documentation growing up. So they were prohibited from passing either north or south. 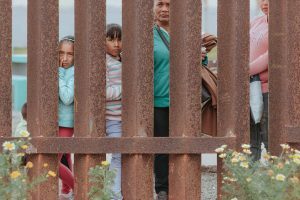 A lot of the families in Mexico were dependent on healthcare, food, and supplies because the land is a completely arid—very challenging terrain to live on. And there are very important ceremonial sites that people can no longer access because they couldn’t pass through the gates on the reservations. They’re affected not just socially and culturally but also emotionally. Ofelia started cutting her hair when the [San Manuel] gate closed, and then elders were passing away because they were so affected. Left: Joel Smith, Sasabe, Arizona. Right: Sand Dragon, Algodones Dunes, California. Genevieve—When you’re talking to people like Joel Smith who care, it reaches them at a different ideological level—his level of compassion. A lot of people speak about the issue politically, but other people are driven by this belief in not only how we as a country should act toward other people, but individually how they can help and how they can at least prevent some of the tragedy. Elliot—So many people speak about the border in grander, more removed terms, equally passionately, but Joel took that passion and used it as an agent of change. I think maybe that comes partially from his experience growing up as a child in Berlin when the wall was still standing. He alluded to that as having had a significant effect on his outlook on life. He has a full time job and his [Operations Manager] position at Humane Borders. It’s another full time job that he doesn’t get reimbursed for at all. It’s not exactly a light undertaking either. It consumes all of his free time. And it’s very thankless really. Agents of the Customs and Border riverine unit during a quiet moment in Roma, Texas late at night. Elliot—In terms of speaking about policy and their views on policy, 99% of [Customs and Border Patrol Agents] deferred to a version of the statement, ‘We’re not able to share our own views on the matter.’ When asked point blank what their thoughts were on the usefulness of the wall they were often like it’s one tool in a big tool bag and every tool has a purpose and does some sort of job. some tools are better than other tools, and some tools cost cheaper than other tools but that was always the metaphor was this tool bag. 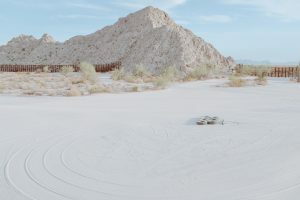 Genevieve—We were surprised at the candor of many of these agents because we’d meet them in quite isolated circumstances where they’re sitting in their car by themselves for eight, nine hours a day in the middle of the desert. Left: Stops at Saguaro, Camino del Diablo, Arizona. Right: Hidalgo County, Texas. 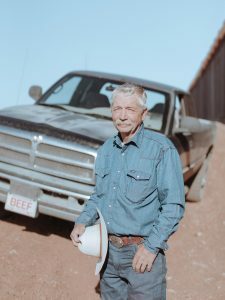 Elliot—The first focus, the most important focus of the project, was providing a platform for people to tell their stories of their experience living along the border. The second part was this more topographical study of what the existing infrastructure is and the different landscapes that it traverses, illustrating how vast this region is but also some of the absurdities of this infrastructure. Genevieve—I was really surprised by the landscapes we encountered. Some of the landscapes were quite ethereal and sublime in a sense, and the conversation with the infrastructure—at points quite impressive. The dunes. The floating wall. The engineering that went into that is incredible. In other places, the lack of strategy, the sporadicness of infrastructure. It was always quite interesting how the fence changed and the efficacy of the fence changed. Some of those images, you just see it stops at a cactus. Or a big rock. Elliot—I think one thing within the environmental conversation that gets lost, and maybe has more significance in the moving of animals, is the moving of water. Especially in these vast swaths of the wall which exist in the desert. The movement of water is critical to the health of these ecosystems. Obviously plants need water, but also sediment and the soil, and even the smallest border infrastructure disrupts that. Left: A mother along with her daughter and grandchildren sees her son for the first time in twenty-two years at Friendship Park in San Diego. Right: A woman has a conversation with her boyfriend at once weekly opening of Friendship Park in San Diego, California. Elliot—Its name is so contrary to the experience of being there. It was built with the intention of creating this binational amiability towards one another and has turned into something completely different. [Friendship Park, located on the border between the San Diego and Tijuana regions, was opened in 1971 as a symbol of friendship between the U.S. and Mexico. Security and restrictions on entry have exponentially increased in the past several years. Visits are now limited to thirty minutes.] Obviously, it’s heartbreaking. I kind of liken it to being in a hospital where really delicate moments are happening and you’re trying to be as invisible as possible and as sensitive as possible to these really traumatic moments that are playing out quietly. At this point, we were at the very end of our journey, and the tragedy of the wall and the situation on our southern border was already very clear and apparent to us. This kind of served as a last, very emotionally laced confirmation of that tragedy. Genevieve—Friendship Park was interesting because everywhere else you go, you’re not supposed to be there, you’re not invited to be there, whereas this is set up as a place for people to visit. 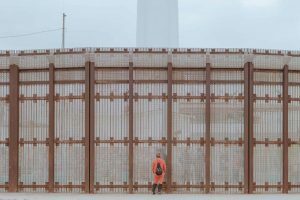 Especially after the time we’d spent in Arizona and parts of California where it’s very sparse along the border infrastructure, so you’re not encountering people in a concentrated manner, and so it was quite different in Friendship Park. Like many places along the border it was a public space. There’s lots of public spaces, but they’re not enjoyable spaces. And they have an air of melancholy.